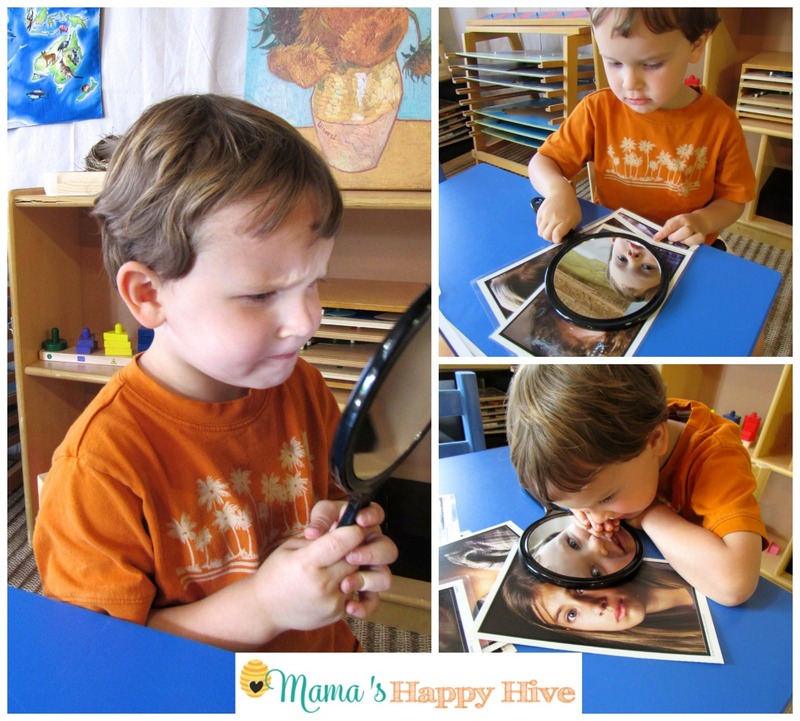 This unit study is a wonderful way to explore learning about emotions and feelings. During the time that we completed this study, I was pregnant with our baby girl - Sweet Bee. Little Bee was experiencing many emotions and some anxiety about having a little sister. I wanted to help him with expressing these emotions by giving him hands-on tools for displaying the feelings of his heart. 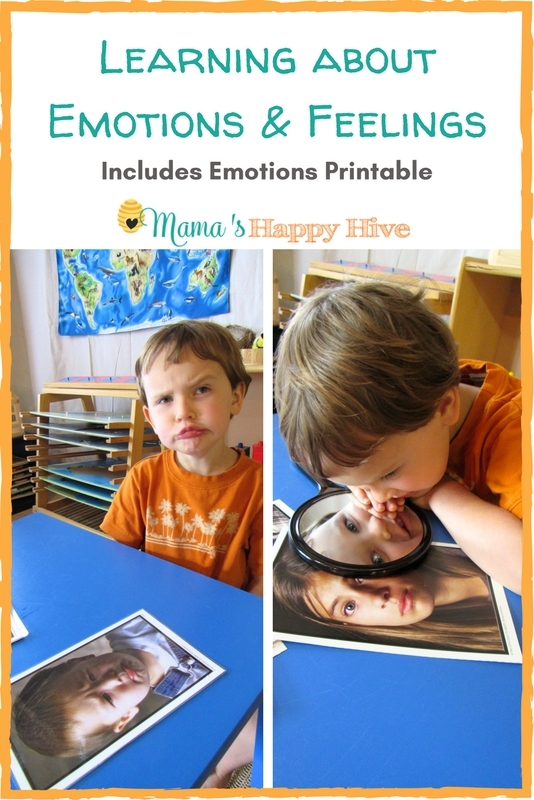 This unit study includes five activities for learning about emotions and feelings. These life-sized children's faces are lovely to explore with your child. These poster cards explore many emotions and feelings that children can relate to. When a child is able to see the emotions expressed on another child's face, this helps them to begin to identify with their own emotions and start to develop empathy for others. 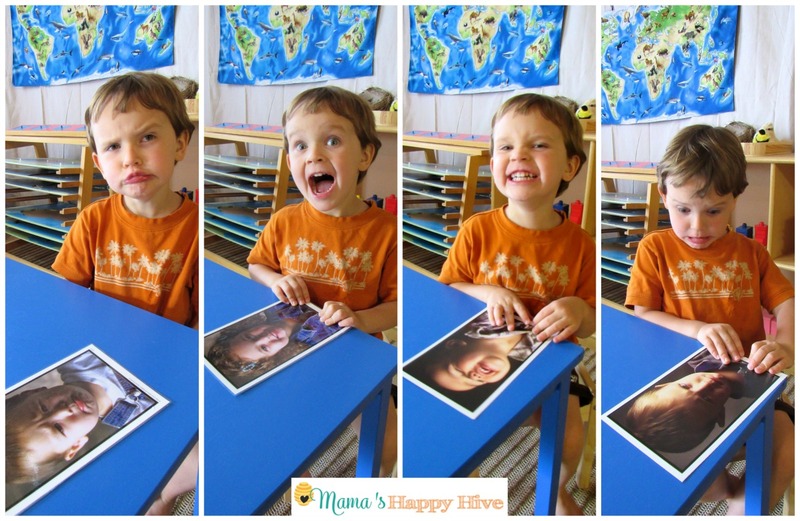 I asked Little Bee to imitate the expressions on each of the children's faces in the pictures. It was really fun to see how he responded! I bought a double sided acrylic mirror for Little Bee to hold up to his face and practice making facial expressions. I asked him to make a sad, mad, happy, bored, and silly face. We talked about how he felt when he made a mad face or a sad face. Did it make him feel the way his face looked in the mirror? He is still working on this relationship of connecting his inner emotions with how his face looks. Fridge Magnet Emotion Faces - "Today I feel... Yesterday I felt..."
We used our adorable "Face Emotions and Feelings" printables and created magnets for the fridge. I printed and laminated the following emotion cards: sad, scared, bored, worried, happy, surprised, proud, and angry. I placed tape on the back of each card, however, you can also put a magnet on the back of each card. 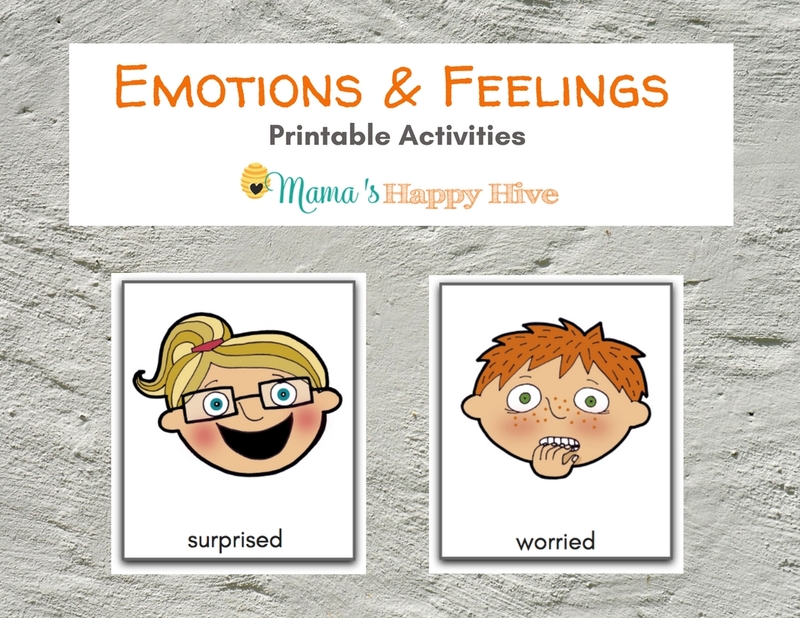 I asked him how he felt today and he put the "proud" face under the sign that says, "Today I feel..."
Please find our "Emotions & Feelings Printable Activities" on Mama's Happy Hive Teachers Pay Teachers site. Blank Face to Draw Your Own! Little Bee and I made eyes, nose, and mouth with bright colored play dough. I gave him two cards - one happy face and one sad face. 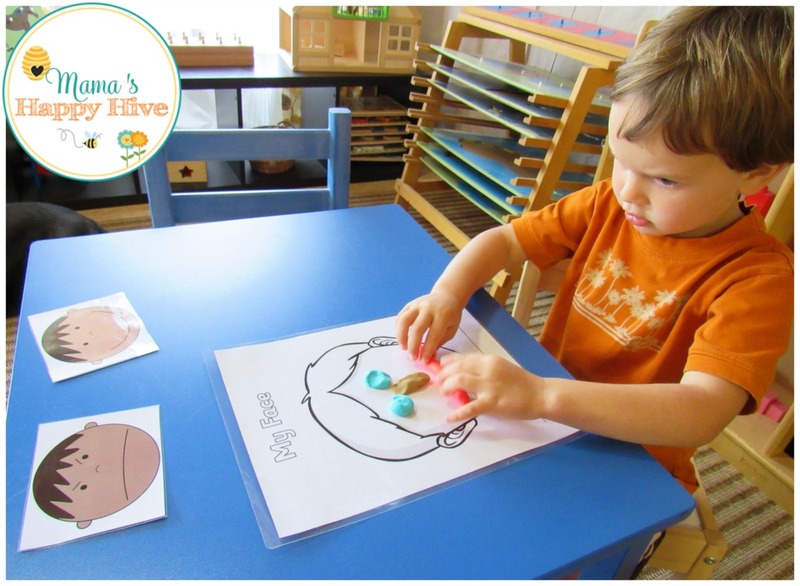 I asked him to form the play dough mouth as either happy or sad while observing the faces on these cute "Managing Feelings and Emotions" printables.